When I'm sapped of energy these days, I've got to look towards the people and celebrities that give me inspiration, and there is no other place to look than Wainy Days. 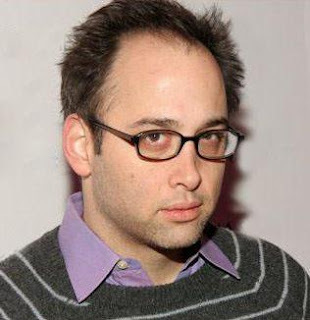 David Wain is the man. He was behind some of the greatest sketches of all time on The State. I'm sure many of you have to know him by now after he has branched out through cult hits like Wet Hot American Summer and (shudder) The Ten as well as through the more main stream genius of a movie like Role Models where he pops up here and there to give an immortal line like "classic case of guy on the ground." As a part of Stella Comedy, he is not my favorite actor (that accolade goes to the immortal Michael Showalter). However, his solo project Wainy Days, which has been kicking around for a couple of years now definitely beats out the Michael Showalter Showalter and the late Michael and Michael Have Issues on Comedy Central. This show features some of the best actors that are putting their faces on a screen and then putting that screen on the face of my computer. The guest stars are always perfect and like I said, the acting is just a cut above everything else you watch - including the sun. This is the kind of stuff that can keep you laughing all day long as you shield yourself from the grumpiness, anxiety, and insecurity of your fellow commuters. These videos just make me want to be a better person, and by better person I just mean funnier and more absurd. Gotta start writing more TV shows and comedy. James tugged on his pants, pulling the pleat over and against his knee. “My turn, I suppose,” he said. He stood and Eve stood with him. “I’ll kneel with you,” she said. Eve looked at him in the way that a woman, especially a wife, looks at a man she loves when he believes and postures himself in the manner that says – this is something I do alone and no one comes with me. And this is a posture that always has to do with death, and no man believes that a woman will die. James saw the look in Eve’s unwavering grey eyes and remembered how he’d first seen that look during their wedding. His body had not communicated any form of solitude, but she adopted the look and her eyes drove straight into him below the thinnest sheen threads of the veil and he knew that this woman whom he’d known deeply, whom he’d been in and out of, whom he felt the most mature in his feelings towards, was attached to him in a way that he could never have imagined and she now had a look that would always tell him that. The part that made his heart throb, was that she would never use it to control him, but only to love him and understand him. “Let’s go,” he said and took her hand. Feeling her fingers within his, the room dropped away for a moment. James no longer felt any anxiety at seeing people he knew, people that knew his family, people that required something from him. Part of his relief was from the fact that they had exited, but it was also the sense memory of Eve’s fingers. In one step, he marvelled at how he could constantly overlook that simple rub of the inside of their fingers so many times and only feel the clamminess of two palms together. Yet, in one instance the touch would bring everything rushing forward at once, so fast that he couldn’t make one memory out from another – everything was simply their fingers locked together. With their fingers linked they approached the kneeler and coffin. They paused and kneeled in front of the body. As his knees touched the pad, James thought of what his father had said to him the night before. The words hadn’t come into his head for most of the day with all of the motion of getting his father up, getting out of the house, getting to the funeral home, preparing himself for seeing members of the family – all of the ceremony. However, now he was in the middle of that ceremony, participating in the small mechanical motions which made the ritual of death. James let go of Eve’s hand and locked his fingers together. He smiled as he felt his fingertips touch his knuckles. The standing, sitting and kneeling made the ritual and that is what made the whole scenario real. Just as he had done so many times in church when he was younger, he clasped his hands together. The repetition was a white noise in his mind, but it brought a reality to what he experienced because it was real and it felt holy and important. Most of all it was familiar and its familiarity brought his father’s words back into his mind. The sentiment that his father tried to convey stung him because there was something absolutely true about it. James felt that he had lost something. However, he didn’t know what it was. He took a brief look at the coffin before closing his eyes. The muscle in his tricep twitched. James frowned and focused on his mother. His mother was dead and he didn’t know what that meant. She had been a woman, she had been a mother, she had been kind, she had been intelligent, but she’d never been dead. It was a strange thing to try and define the roles that a person played, especially when that person was your mother. James tried to forget that his actual mother was beyond the closed lids of his eyes and laying lifeless. He tightened the muscles in his face so that the pressure on his eyes made him cry slightly. Through the tepid warmth of his tears, the vision of his mother holding Tom in the hospital came to him. The day of Tom’s birth was one of those instances when a child comes to a distinct recognition that transcends the small sphere of its understanding. For James, seeing his mother hold his new little brother – the brother he had named Mike when it was in his mother’s belly – he understood the distance of things in the world. The hospital room was far from his house, his mother up on the bed and him standing beside the white blanket was close, but also very far in a way that made him uncomfortable. He’d looked out the room’s window and saw the early morning sun and the sky becoming a perfect blue. At the bottom of the window, in the distance, were trees blowing back and forth, and they were very far away. This he’d come to understand when his brother was born. He’d looked at Tom’s little pink face and felt his stomach throb with a feeling he didn’t understand at all then, and was still perplexed by it now as he saw the memory in front of him and mouthed, unconsciously, the words that he’d said. “Thomas Aquinas,” James said, gripping the white hospital blanket and looking at the baby cradled in his mother’s arms. And he’d remembered the first time he saw Tom when he arrived at the doorway to his brother’s room at Mather hospital on that January night. He walked in with his pea coat draped over his forearm and listened to his work shoes clack on the pea green floor. Tom was sleeping and they had monitors and an IV hooked up to his arm. James hung his coat on the bed end. He touched his brother’s foot and squeezed it. He squeezed Tom’s sleeping arm. James felt as though he were going to cry. Then he tried to think about who he was talking to. He looked down at his work shoes and his pant cuffs, damp from the slush, and felt a restlessness. His head pounded and he couldn’t concentrate on the great love he had for his brother. A strong feeling of guilt clouded his heart and he wanted to scream at himself and the walls for the fact that that feeling could rise in him, when the moment was not about him at all. It was about Tom. Thomas Aquinas. The little pink faced baby who’d been wrapped in towels in the same hospital seventeen years before. That same Tom was now lying on one of the hospital beds and James didn’t know who he was. James exhaled at the kneeler. He still wasn’t sure who his brother was. Remembering Tom as an infant, drew James’ mind back to the main source of his insecurity. He opened one eye and glanced at Eve. She was kneeling with her eyes closed. James almost laughed thinking of the situation he was in. It was inevitable that she would find out. She would be in the bathroom one morning throwing up in the toilet with morning sickness when he walked in to take a shower before work. The scenario unfolded and took shape in his mind. She’d be sitting in front of the toilet on the soft new tan shower rug she’d bought – the way women did in the movies or on TV when they found out they were pregnant – and she’d look up at him. He’d take her look in and feel the swelling importance in the center of his gut. He'd feel the pride a man gets when a woman looks up at him, because all men want women to look up at them, since in some way that means they are responsible, in charge, and all men want to feel that responsibility whether it is real or not; whether the woman conveys that or not. Then Eve would smile, she’d wipe the strands of hair on her forehead back off to the side and smile. “I’m pregnant,” she would say and twitch her feet slightly so that they hit the tile, making a slight dull thud. Then James would have the choice. He would have the choice to pretend it was news to him or that he’d known. He had the opportunity to tell her now, to tell her at any minute he felt like it. However, if he told her, it would make it real. The reality of her being his wife would become even stronger. The reality, that once he gave life to another being he could never escape, would strike him. He hated to know that feeling lurked inside himself, but it was true. He didn’t want to run away from Eve and he never would. However, there was something in him that felt an attachment to the idea that he could if he wanted to, that there had been no life created between them to make everything so real and beyond them, beyond her and beyond him. It was the control, or the lack of it, that a child signified to him. James felt ashamed to think that a small innocent infant could signify such shallow thoughts. However, there was an illumination he felt too at knowing that his insecurity and his fear were very much connected to his own brother and the fact that his brother’s birth first communicated to him that he could control nothing in the world because things could be far away from him. And in some way, he’d been trying to get that back all of his life.